Spyware refers to any technology that helps in the gathering of information about a person or organization without their knowledge. It’s known for performing certain behaviors without obtaining user consent such as: advertising, collecting personal information and changing the configuration of your computer. It’s also used to gather information about a person’s internet interactions, keystrokes, passwords and other valuable personal information. Spyware applications are typically bundled as hidden components of freeware or shareware programs downloadable from the internet. Mostly, spyware is used to track and record internet users’ web interactions by serving pop-up advertisements. System monitors, monitor resources and performance in a computer system. Adware is software that automatically renders advertisements in order to generate revenue for its author. Tracking cookies are specialized versions of cookies that record your entries and report them back to where the cookie’s designer wants your data to go. Trojans are malicious computer programs that misrepresent themselves as routine or useful in order to persuade a victim to install them. Identifying infections and their background operations is usually very difficult. This is because spyware is generally designed to be hard to detect, remove or determine its background operations on your computer system. It can be used to provide thieves with your user IDs and passwords leading to theft cases. Someone may use spyware to remotely log in to your computer and use it to launch attacks on other computers on the internet or send spam using your computer and you as a cover. It also becomes a threat to your computer system as spyware usually tends to hog system resources and slow down your computer. It can also make you vulnerable to cases of identity theft and fraud. From statistics study by Statista for malware infections on desktop computers worldwide as of the 4th quarter of 2014, 76.63% of malware infections were trojans with adware ranked second at 5.05%. From another study by KSN, Kaspersky lab products detected 2,205,858,791 malicious attacks on mobile devices and computers worldwide in the first quarter of 2015. Although it’s designed to be difficult to detect, it’s not impossible to identify and protect against. You’ll know if you have been subjected to infection if you start getting random windows error messages, you become subject to a barrage of endless pop-up ads. New unknown and unexpected toolbars could appear on your browser or your browser homepage. The default search engine suddenly change and your computer slows down when opening programs and processing tasks. You can prevent attacks by being cautious of clicking pop-up ads and links when browsing the Internet and carefully scanning downloaded freeware and shareware for any malicious software that could be bundled with it. You can also prevent attacks by ensuring that your firewall is enabled and your windows and software updates are always up to date. These steps help to greatly reduce chances of infection and significantly guard you from other high-risk malware threats. Learn more about Spyware and how Spyware can affect you and your family. 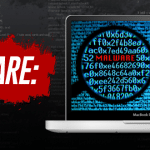 Get valuable information and resources about Spyware now. It’s crazy how systematically broken your computer becomes once you downloaded some random program together with freeware or when you go to a shady website.. I think I have become a victim of spyware as before I started having a different search engine pop up even if I have specifically made google to be my default search engine, it was difficult to remove by simple means so I had to reformat my computer… This is very rampant nowadays and definitely should promote safe internet usage, especially to the older generation who just started using computers… They are the most prone population to this..